Geographic Information System (GIS) is one of the most important and advanced tools in any archaeological survey. Spatial information collected during site excavation has a great influence on further post-processing. 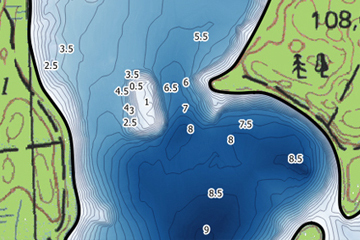 GIS software gives us ability to manage, process and present data from the field work. The work with Geographic Information System starts with the collection of data. 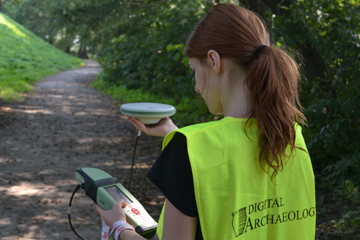 At Digital Archaeology we can work with information provided by others as well as collect the data ourselves. The possibilities of getting spatial information are almost unlimited. Old maps, coordinates gatheret with Total Station, hydro acoustic scans or even photogrammetry results can be gathered and converted to an appropriate, readable format for further processing. The biggest advantage of using GIS-based software is the unlimited number of possibilities to process and analyze the spatial database. 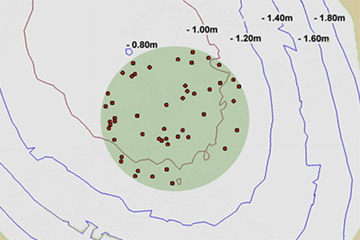 Terrain-elevation changes, concentrations of different artifacts or ground-penetrating radar anomalies – those are only few examples of information that can be obtained from spatial database of archaeological site. Comparison of different kinds of information applied to GIS gives us new clues and can lead us closer to understanding the past. Any result of scientific work has no greater value if it is not properly shared and published. From GIS data we create maps, site plans and visual analyses that can be a great extension to documentation and scientific publications. Results of our work can be also easily shared online thanks to GIS viewers such as ArcGIS Explorer or even Google Earth. Spatial information can also be presented in a form of animation, especially when it contains 3D data.